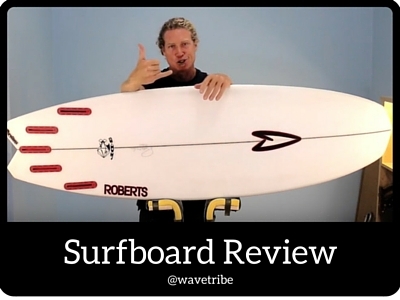 Roberts Surfboards 3DF is designed for SPEED – low rocker and a straighter rail line makes this board fast fast fast. The wide double diamond tail provides the means for the board to use its speed keeping it loose through turns. The chopped diamond nose and forward volume on Roberts Surfboards 3DF allows you to ride this board short. The straight rail line and low rocker make this board extremely fast and fun even in less than ideal surf.